I chose to study at NTU because the University has such a well-respected and established Art and Design reputation. 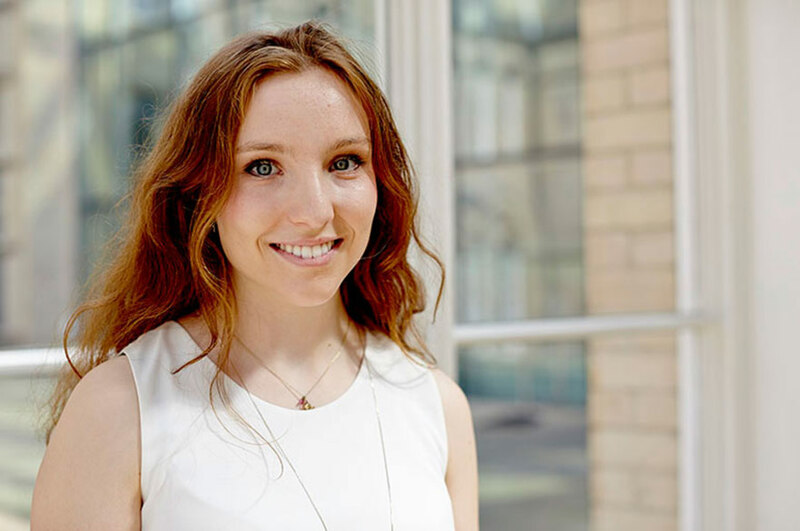 "I chose to study at NTU because the University has such a well-respected and established Art and Design reputation." "My favourite thing about Decorative Arts was the diversity and freedom of the course. It was great because we were encouraged to be playful in terms of design and challenge our perceptions of what materials can do." "Over the past three years I have had the opportunity to take part in several live briefs. I entered the Society of Dyers and Colourists (SDC) International Design competition, which is for fashion and textile students. "It was a wonderful experience to be involved with and there were several stages to complete before making it to the global finals in Mumbai, India. These included making mood boards, creating a concept relating to fashion sustainability and a final product. On the second day of my visit to Mumbai, I met with the judging panel, including Ms Falguni Jhaveri who is a renowned fashion designer, for a 15 minute interview where I talked through my ideas and presented my boards. "It was so exciting being named runner up and the weekend in India for the final was extremely inspiring, it was a great way to network and improve valuable skills." "Throughout the course guest speakers have given us in-depth industry talks about topics such as starting up your own business to the importance of colour in design. My favourite of these was on the 3D printing and the developments taking place in this field right now." "There is so much support given to us on the Decorative Arts course. This includes weekly tutorials which provides you with constant feedback from your tutors; this is always encouraging and helps you to push forward with your project. Not only are the tutors great, but the technical staff are always enthusiastic and available to help." "We are very lucky in Decorative Arts to have our own studio space from first year onwards, as well as access to the workshops frequently. The facilities such as The Bonington Art Shop and the print shop are very convenient; they allow you to get all the equipment you need right, without the need to go into town. The library has a wonderful collection of art and design resources which means you are almost guaranteed to find what you're looking for!"